Alipay, the online payment service arm of Alibaba, announced Monday that it has signed a cooperation agreement with Swiss tax-refund company Global Blue to allow Chinese tourists to receive tax refunds on purchases made abroad via its payment platform. Starting from Monday, Chinese nationals who visit four European countries - France, Germany, Italy and the United Kingdom - will be able to receive tax refunds on Alipay. The scope of the tax-refund service will be extended to three more European countries, namely Switzerland, the Netherlands and Spain, according to the announcement made by Alipay. The refund service co-offered by Alipay and Global Blue has actually been undergoing trial operation in South Korea since October 2013, according to the press release. In the past six months, "over 100,000 Chinese tourists who visited South Korea have completed their tax-refund procedures via Alipay," Peng Yijie, president of Alipay's international business unit, disclosed at a press conference in Beijing Monday. Together with the merchants in South Korea, over 5,000 retailers in these five countries are involved in the alliance between Alipay and Global Blue, the press release said. The procedure to file for tax returns via Alipay involves three simple steps. Tourists must first fill out a tax refund application form and provide their mobile phone number linked to an Alipay account, then get a stamp on the form from customs at the airport where they will depart the country. The final step is to drop off the document at a mailbox at the airport. Within as short as 10 working days, tourists can then receive their tax refund in renminbi on Alipay. The previous procedures for ­Chinese tourists to reclaim taxes were more complicated. They had to line up at customs in the airport after filling in an application form if they wanted to receive their refund in cash. Meanwhile, if they wanted to get refunded by credit card, they would have to wait for as long as three months. Global Blue is one of the world's largest tax-refund companies, which has cooperated with over 270,000 merchants in 43 countries and regions, according to the press release. "We chose Alipay as a cooperation partner, partly because Chinese tourists are the largest group of consumers for overseas consumption," David Baxby, president and chief executive officer at Global Blue, said at the press conference Monday. The total consumption by Chinese visitors traveling overseas hit $128.7 billion in 2013, ranking at the top of outbound consumption by tourists globally, according to a report released by the China Tourism Academy in June. Chinese tourists generally welcome the convenient services offered by Alipay, however, it will likely take a while for some of them to accept the new tax-refund method. "It is convenient, and I don't have to wait for hours at the airport to get tax refunds in the future," Chen Silun, a 30-year-old editor in Beijing, told the Global Times Monday. Xia Tian, a 31-year-old white-collar worker in Beijing, said she was hesitant about the new tax-refund method. "I would rather wait at the airport to get the cash in hand after submitting the application, which I think is safer," Xia told the Global Times Monday. Xia, who visited South Korea last December, saw the refund service offered by Alipay on the application form when she waited at the airport where she departed Seoul, but she refused to use it. "I would like to try Alipay after a while, when it becomes more popular and safer," Xia said. Alipay's Peng said she was confident that more tourists will choose Alipay as "it is an inevitable trend due to the fast development of Internet finance and credit consumption." Analysts said the cooperation between Alipay and Global Blue was "an important strategic step for Alipay to extend business overseas." "Alipay will become more popular abroad especially among overseas Chinese communities," Zhang Yi, chief executive officer of Shenzhen-based iiMedia Research, told the Global Times Monday. 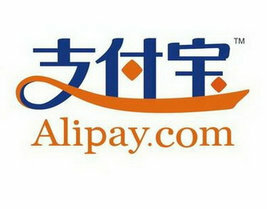 Peng also disclosed at the press conference that Alipay will offer more services including cross-border payment services for users who plan to buy products on foreign e-commerce websites.